As an inbound marketer, I often get asked if inbound lead generation and lead nurturing works for B2B companies. There seems to be a belief that business-to-business companies fall into a black hole when it comes to marketing and its is simply not true (anymore). In short, the answer is YES, inbound lead generation and lead nurturing works wonders for B2B companies, and in some areas even better than B2C! But before we get into the meat of it, let's first look at why so many people put a stigma on B2B. In the early 1900's, marketing and sales began to take on speed. As newspapers, magazines and general communications improved, the ability to reach consumers expanded dramatically. Back then we still did not have the ability to touch anyone anywhere with a sales or marketing message. Instead, messaging was largely targeted to local distribution vehicles, communities and focused groups, and these limitations were even stricter for business-to-business organizations. The most effective method of selling in B2B was to get out and talk to people, build relationships and create sales human-to-human. As we moved into the mid 1900's and a greater part of the early-late 1900's this remained true. Sure, there were advancements in technologies and communications, but these new messaging vehicles were still largely catered to the consumer (B2C) and not the B2B business. Hence the B2B world needed its own marketing and sales channels and so along came trade shows, industry magazines, trade groups, networking associations, etc. However, by and large the success of B2B lead generation and lead nurturing was human-to-human until about 2001. It was in the early 2000’s that the internet began to really take on its current shape. Advancements in speed, social media and the ever-increasing pool of knowledge provided buyers and sellers of all types to touch anyone anywhere. But then something happened: the sellers lost control of the sales process. For the previous 100+ years, salespeople dictated when they reached out and touched the buyer. Sales people controlled the conversation, pricing and objections in the sales process. Competitors were limited to the buyer’s awareness level so the salesperson had limited competition. But with the internet, the buyers took control of the sales process and turned it into the buying process. Today, buyers have a completely transparent view into just about any company, its business dealings, employees, products and services. Today, buyers have tens or hundreds of choices to make amongst competitive sellers. Buyers know the pricing, quality, customer service ratings, and usually know the seller’s product or service just as well or better than the salesperson. Even more importantly, buyers can find the information they are looking for at anytime and usually in their preferred method of consumption; whether it be video, articles, customer ratings, graphics, ebooks, white papers, reports or from their peers in social media. Today, buyers complete 67% of the buying process online before they ever talk to a salesperson. (Forrester 2013). It is estimated that by 2020, 85% of a business’ relationship with its customers will be digital and only 15% will be human-to-human (Gartner Research). As a B2B business, you must adjust to today’s marketing and sales shift and this is true for all types of B2B companies, including manufacturing. In fact I would argue that B2B manufacturing companies are still in the prime years for significant growth stemming from inbound lead generation and lead nurturing. Why you ask? For the most part, the manufacturing industry is late to the game and due to this, many manufacturers have not jumped on the digital train, making it easier to stand out amongst your competitors. As I mentioned above, inbound lead generation and lead nurturing works wonders for B2B companies and in some areas even better than B2C. When it comes to the Internet, we now have marketing automation software (HubSpot, Marketo & Eloqua to name a few) that can capture lead information and in some areas, this component of the data collection is more robust in B2B than B2C. As an example, we can track an individual consumer’s activity on your website including: which pages they viewed, what they downloaded and what content they read. However, if they are coming from their home computer, we cannot identify them by name unless they provided that information to you by filling out a form. 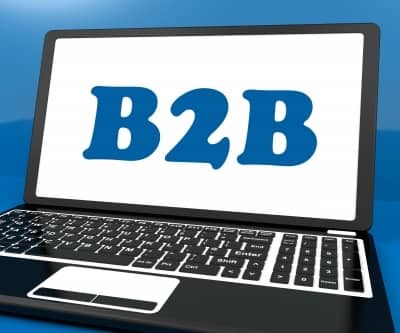 With B2B we can usually track the company’s name and geographic location. We can also append that information to any visitor from that company, enabling you to see how many people visited your website from that company, what dates they visited, pages viewed and content read. We can then send this information to your sales team and or your customer relationship management (CRM) system. In summary, today’s buyers (B2B and B2C) want information when they want it, how they want it and where they want it, and if you are not giving it to them during the 67% of their buying process then you are irrelevant. The old way of churning through sales people, banging the phones and bothering people with your sales and marketing messages are over. 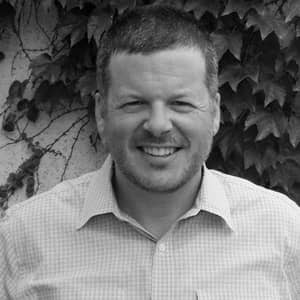 Hear our CEO Chris Peer discuss the above topic in Mark Tennant's podcast: A Slice A Day, Episode 19 - Can B2B be Successful in Inbound Marketing and Lead Generation?